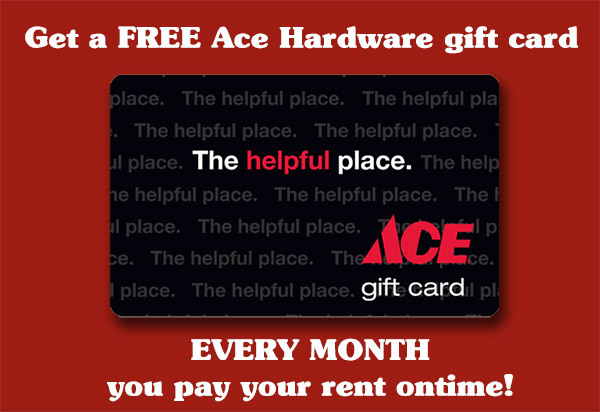 You will be pleased you found Middletown Self Storage @ Ace Hardware. Our convenient location and access hours make it easy to store or pick up your belongings. Our secure storage facility is monitored with video surveillance 24 hours a day, 7 days a week and is staffed during our business hours. It is well lit and our prices our competitive. We offer packaging materials such as boxes, tape, bubble wrap, labels and other packaging materials right in our office during office hours. 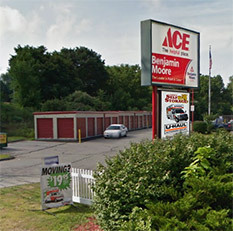 We are located right next to our Ace Hardware store for your self storage convenience. If you are moving the added convenience of U-Haul rental at our CT location makes for one stop shopping. Pick up your truck and packaging materials, Pack up the truck at your move out loaction, return, unload in your storage location, drop the truck or trailer and you are on your way! We offer low cost self storage in Middletown CT and our two locations make it convenient to store with us even if you live in the towns of Cromwell, Portland, Middlefield, East Berlin, berlin, East Hampton, Higganum, Durham, East Haddam, Meriden or any Connecticut town.